Last week I talked about glutathione and its important role in the methylation cycle to protect and stabilize DNA and to detoxify our bodies. It is involved in literally every aspect of the disease process, and is an important factor in our immune system. This week’s topic is chelation, a process to remove heavy metals from the body. Heavy metals disrupt biochemical pathways, such as the methylation cycle, and they increase oxidative stress, trigger autoimmune reactions and can alter the immune system. Through tests, we know Ryan experiences oxidative stress, and he has allergies too numerous to count. Both allergic reactions and autoimmune disorders are a result of the immune system overreacting or responding inappropriately. Cadmium is a by-product of lead and zinc mining and smelting (separating the metal from the ore). Because it does not corrode, it is used in electroplating and is found in fertilizer and shellfish. It can gather and accumulate in plants and has contaminated irrigation waters. It is also found in tobacco and cigarettes. Chronic toxicity may result in obstructive pulmonary disease, emphysema and kidney disease. Lead is primarily used in manufacturing batteries, plastics, china, ceramic glass and paint. It is the most widespread toxic metal on earth and is the second most hazardous substance found at sites listed on the National Priorities List. The primary route of exposure is through ingestion, such as breathing contaminated dust, drinking contaminated water, and absorbing lead from lead-based glazes in pottery. Children are particularly at risk. The toxic effects of lead include brain disease in children and the fetal brain may be particularly sensitive to the toxic effects because of the immaturity of the blood-brain barrier in the fetus. Mercury is used to produce vapor lamps, fluorescent tubes, thermometers and electrical products. It is present in seafood. It exists in a number of forms, which may affect different parts of the body. Methyl mercury is the most toxic form and its accumulation in the central nervous system may result in neurotoxic effects in adults, and toxicity in fetuses exposed to methyl mercury during pregnancy. You may have heard the phrase, “Mad as a Hatter” to refer to people suffering from mental illness. The phrase has its origins in 18th and 19th century England, when mercury was used in the production of felt, used in manufacturing hats at the time. People working in hat factories were exposed daily to trace amounts of mercury, which accumulated over time causing dementia and uncontrolled twitches and tremors from mercury poisoning. I hope this clarifies why I want these metals out of Ryan’s body. Chelation is the means to do that, but has been a controversial topic, largely because of one-sided stories in the news that portray parents as “extreme” or grasping at straws trying “out there”, unsafe treatments for their children. In actuality, chelation is a mainstream treatment that has been used since at least the 1950s to treat heavy metal poisoning. “Chelation” comes from the Greek word chele, which means “claw”, describing the way the chelating agent grabs onto the metals, which are then excreted in urine. Heavy metals “hide” in the body’s tissues, to include the brain. Chelators bind to heavy metals, such as iron, lead, mercury, cadmium and zinc, so essential metals that might be inadvertently removed from the body are simultaneously replaced through additives to the chelating agent. Ryan's doctor also adds glutathione to his chelating compounds. There are different chelating agents used, and different methods. Ryan has had Dimercaptosuccinic acid (DMSA) and Dimercapto-1-propanesulfonic acid (DMPS) in suppositories and a transdermal cream, as well as one IV chelation challenge. Chelating is a long process, and takes multiple treatments. You might have heard chelation is dangerous, and that children have died while receiving IV chelation treatment. There are 3 cases reported on the CDC website. These all involved the chelation agent Ethylene Diamine Tetracetic Acid (EDTA), but these deaths were all caused by medical error when Na2 EDTA instead of Ca EDTA was administered. Chelation is safe when done properly and medical professionals take the time to properly read labels. To my knowledge, there has never been a reported case of death or injury from DMSA or DMPS use, and both are widely regarded as safe. However, the level of metal exposure considered “safe” is still unknown, and is different for different metals and different people at different ages. Levels of lead that were once considered non-toxic are now known to cause neurotoxic injury, and have lowered IQ in children. 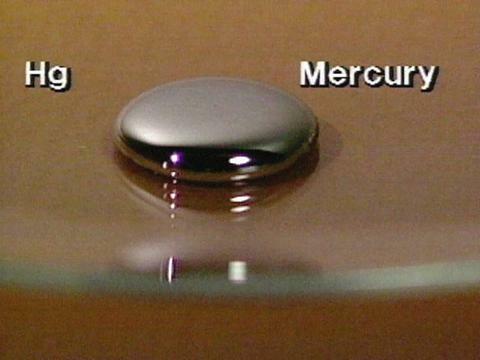 When will we start paying closer attention to mercury and other metals? According to the CDC, about 1 in 6 children in the US had a developmental disability in 2008. It’s time we started protecting our children before that statistic becomes 1 in 1. Of course we have traces of heavy metals in our bodies, if you had biology/science/food science in school you should know that. In fact we NEED certain metals in trace amounts to function normally, as far as I understand. But it also makes sense that high quantities and the wrong minerals could make you very sick. I think you are only being a good parent by getting Ryan the chelation treatment, and you base your decision on thorough research. Lead has been found to be unsafe at any level...I make no claims about the demise of the Roman Empire, however!